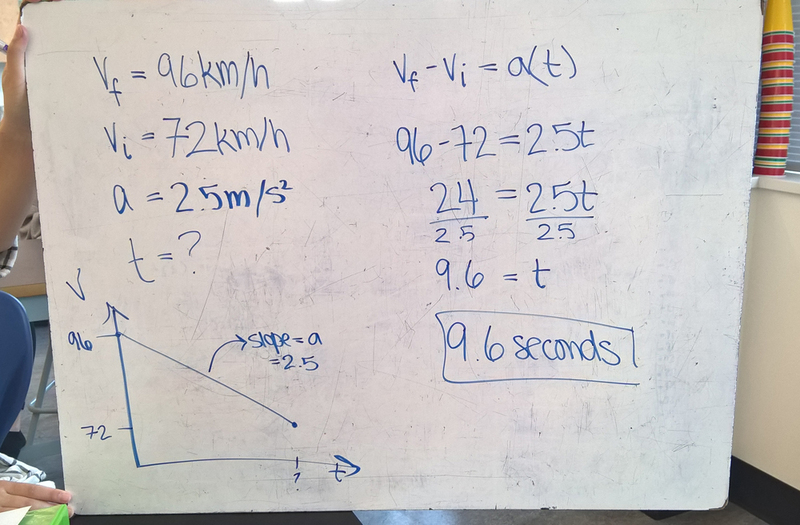 Physics 11 – Today the physics classes did group whiteboard problems and presented their work to the class. We used the Mistake Game, where each group had to include a mistake on their whiteboard. In the above example students did not convert from km/h to m/s. It was a great way to reinforce the idea that we have to work with common units when doing our calculations. BC Physics 180 Blog at WordPress.com.